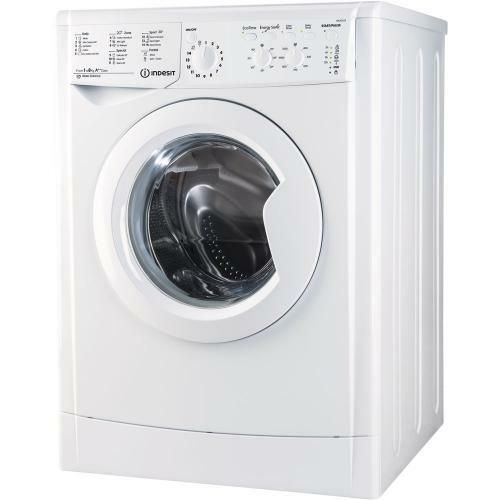 Making laundry a breeze while saving you time, money and effort, the Indesit IWC 81252 ECO UK.M 8kg Washing Machine in White combines a generous capacity with 1200rpm of variable spin, plus an A++ energy rating.Staying resource conscious in everything the Indesit Ecotime IWC 81252 ECO UK.M Washing Machine does, Water Balance Technology will adapt the amount of water used according to each cycle’s need. Ensuring there’s minimal wastage, it helps save money on your bills. Tackling hardy fabrics, jeans receive a dedicated cycle which puts the wash between their strong denim fibres to life out marks and stains. Similarly the special Sports Cycle uses a combination of drum rotations and water saturation to remove the most common sports-based dirt and odours which preserving technical fabrics such as waterproofs and Gortex. Complemented by a Shoes cycle, your trainers have their freshness restored and their like-new appeal replenished, putting you on track for the next workout.Easy-to-use through the LED display, the Delay Timer also gives you the option of scheduling the wash up to 24 hours into the future at a more convenient time. Saving you time and effort, the Indesit Ecotime Washing Machine is a great choice for every home.